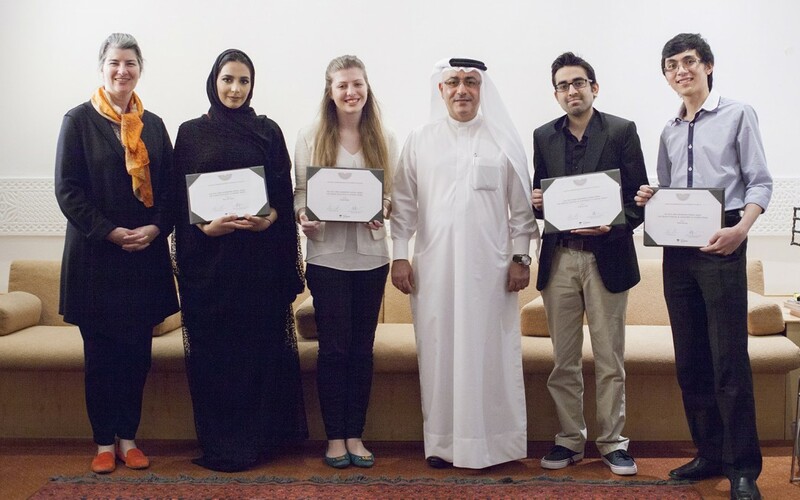 These awards, granted to outstanding graduating seniors from VCUQatar’s Graphic Design and Interior Design Departments, were instituted eight years ago by Jaidah to encourage and assist graduating students as they start their careers as designers in Qatar and the region. “As a graduating student, I am very excited to start my career with such a special recognition. It is an honor to be recognized as the recipient of the AEB Award for the second time. As it did previously, this award from Ibrahim Jaidah will be an incentive to set and achieve even higher expectations for myself,” said Noha Fahmy. and the local design community. The award will hopefully provide me with the opportunity to travel to Shanghai, China this summer to do an internship at Frog Design, a global design and innovation firm. I strongly believe that this internship will provide me with unparalleled motivation to challenge myself as a designer to make strategic decisions in context of living in a different culture and society,” said Hazem Asif. Besides the awards, AEB and Jaidah continue to partner with VCUQatar through their participation in Tasmeem Doha, VCUQatar’s biennial international design conference, as well as by offering internship opportunities to VCUQatar students.